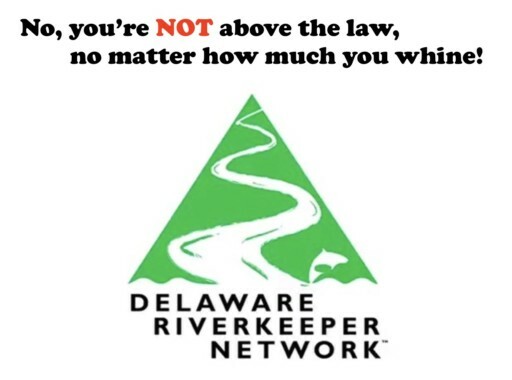 The Delaware Riverkeeper Network, personalized as Maya van Rossum, a/k/a Delaware Povertykeeper, tells FERC it should be above the law with no responsibility. We are a country governed by the rule of law. Part of our system of laws (for better or worse) invests government bureaucracies with delegated power to make rules and regulations–which carry the weight of law. Children who are not disciplined (at home and at school) grow up to be adults who think silly things like rules don’t apply to them–because they don’t want them to. THE Delaware Riverkeeper falls into that camp. The Federal Energy Regulatory Commission (FERC) has rules and regulations in place to keep the agency from descending into chaos in reviewing and approving pipeline projects. One of FERC’s rules, which has been on the books for years, is that if a person or group wants to “intervene” (become an intervenor) in a project, they must file with FERC “in a timely manner.” FERC sets the amount of time, which varies with each project. 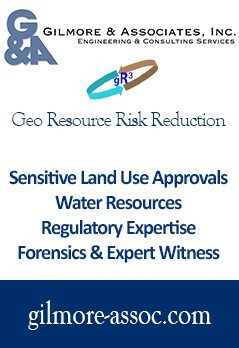 It’s been our observation FERC gives at least 30 days, sometimes more, for folks to file to intervene. One of the sleazy strategies used by Riverkeeper is to get thousands of individuals (including children) to sign up as intervenors for a project in a quest to flood and overload the FERC system, slowing or stopping progress on a given project. It’s interesting to MDN to notice that until now, FERC has been bipartisan. With this vote to tighten up intervenor status, the two sitting Democrat members of FERC voted against it–meaning they like the chaos Riverkeeper and others inflict on the agency. Trump should replace both of them, in our humble opinion. …The Federal Energy Regulatory Commission said on March 15 that it won’t be so flexible with “untimely” interventions as it has been in the past. It was responding to Delaware Riverkeeper Network which filed its opposition to a pipeline project at Birdsboro, Pa., five weeks after the deadline. Three of the five Commissioners said they would allow the DRN submission but warned that future late submissions would not be treated as leniently. …Van Rossum, an outspoken critic of FERC, said the new policy seeks to reduce public input into the pipeline application process. “This is a clear announcement by FERC that they intend to proactively work to further limit access to impacted residents and community members to participate in the review process over pipelines even if they missed the short window of public notice FERC provides,” she said. Editor’s Note: It’s about damned time FERC made the Delaware Povertykeeper observe the same rules as everyone else. The only disappointments are that two FERC Commissioners (a minority) weren’t one board with this common sense decision to not allow abuse of FERC deadlines and FERC didn’t simply outright reject the Povertykeeper request to intervene this time instead of issuing a final warning. Maya and company have had plenty of time to request status as intervenors and shouldn’t even be accorded that status in most cases. Should the system allow me as a pro-gas advocate to intervene everywhere I wish? Obviously not, and the theory that the Delaware Povertykeeper and other special interests should enjoy that right is a total corruption of the public input process. All of us should get the same opportunity to offer our opinions at hearings and only those with actual legal stakes in a matter (e.g., landowners subject to condemnation proceedings, neighboring property owners) should have legal rights to intervene in court. The legal status accorded environmental groups funded to advance private special interests in courts is one of the great scandals of our last half-century. Congress and elitist judges have created this situation and, ultimately, it will have to be corrected, but, in the meantime government ought to making these groups at least follow the rules. Filing requests to intervene five weeks to late is absolutely inexcusable and that FERC let it go on this long is itself outrageous. It is hard to retain a scintilla of respect for any environmental group who games the legal system, especially if they invoke their false sense of moral rectitude and intellectual superiority.